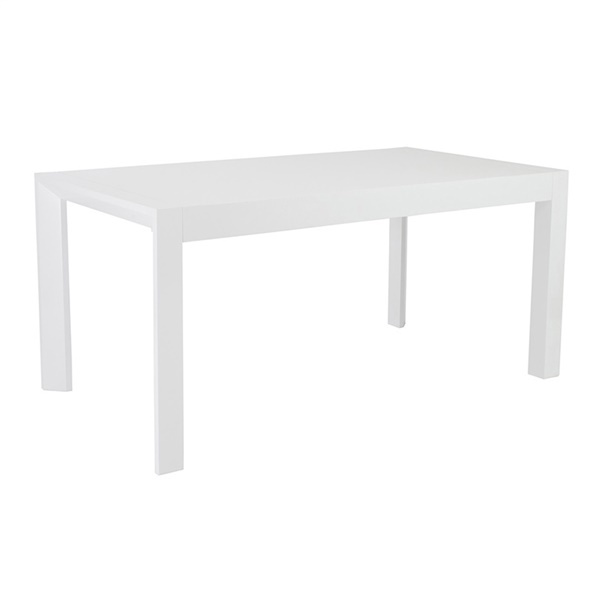 Simple and chic, the Adara Dining Table looks great anywhere. This modern dining table perfectly pairs with traditional or modern style dining chairs. It features high gloss lacquered wood and expands with a simple slide and lift butterfly leaf extension.